It seems that many people would like to write a book, but only a few ever get around to it. A study done in the US in 2002 showed that 81% of Americans wanted to write a book and felt they had a good story to tell. But only 2% of those people actually followed through. Fortunately, now that we’ve entered the age of self-publishing, it’s easier than ever to become a published author. My book-writing adventure started with a blog, and I think that may be a good way for many people to start. It gives you a chance to test your ideas, find your writing style, and start to build a following. For me, it all started in August 2012. I was going to Florence, Italy for 3 months to take Italian classes and decided to start a blog about my experiences. While I was there, I wrote for my blog weekly and I also wrote a few articles that were more historical in nature for a local English language newspaper. However, my time in Italy was soon over and I had a blog that I didn’t know what to do with. I liked writing, but I wasn’t doing anything exciting enough to write about. After floundering around a bit, I finally decided that I really liked to research and write about interesting and little-known historic events and people – but in an entertaining way. I didn’t want to write straight dates and names type history, so I tried to lighten it up a bit by adding a little humor and a few cartoons. It seemed to work, so I just continued. I wrote about England, Italy, France, and other countries that I visited. But since I had a home in Nice, France, it was the perfect opportunity to explore my city and dig into its history. From there, I went on to writing about France in general. 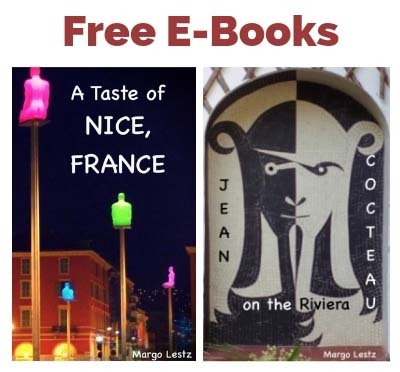 In the autumn of 2014, after 2 years of writing, I looked at the articles I had written and thought I probably had enough for a book about Nice. Then I noticed that I also had enough for a small book about French Holidays. 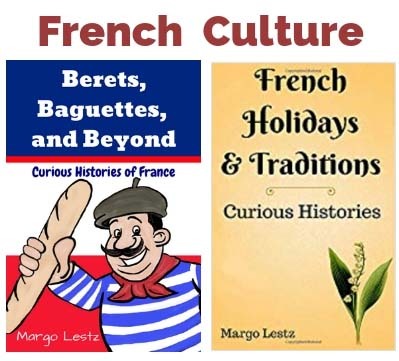 I decided to publish that book first and French Holidays & Traditions came out in November 2014. Then I went to work putting together my second book, Curious Histories of Nice, France. Why Publish if it’s Online? You might be wondering, why I would bother publishing a book if everything is online. Well, while it’s true that most of the stories in my books are on my blog, not all of them are. Actually, a lot of work went into organizing, editing, and adding extra information to my books. In each book, I added extra sections. 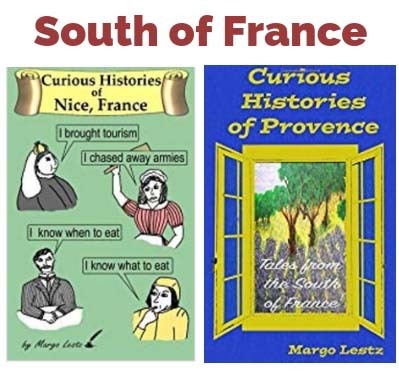 In French Holidays & Traditions, I added a dates and events section for each month, and in Curious Histories of Nice, France, I added “What to See” and “Fun Facts” sections. That was a great place to put the interesting facts that I had run across when doing my research, that just didn’t make it into the main story on the blog. Of course, if you want, you can remove your blog from the internet when you publish your book. I personally left mine online. Interestingly, publishing books that were originally a series of articles has a very long history. In 1836 Charles Dickens started publishing The Pickwick Papers in a London newspaper. After only four installments, the British public was hooked. Newspaper sales soared and Dickens became a household name. Newspapers everywhere started looking for writers to write a series for them. Many of the books that we consider classics today were published in this same way. Flaubert’s Madame Bovary, Tolstoy’s Anna Karenina, Mark Twain’s Huckleberry Finn, and Harriet Beecher Stowe’s Uncle Tom’s Cabin all started life as a series of individually published articles. Am I comparing my little books to these great works? No, of course not. I’m just pointing out that the technique is similar. Publishing a series of articles is a great way to get into the habit of writing and to eventually gather enough material to put into a book. So if you’ve been thinking of writing a book, why not start with a blog? Who knows where it might lead? • Easy to start – starting a blog is very simple especially with WordPress.com. • Not overwhelming – It is more manageable to work on one small section at a time. • Gain confidence – the more you write the better you will write and the more confidence you will gain. • Start to build an audience – people who are interested in your subject will find you and will be the audience for your book. • Build the writing habit – if you commit to a blogging schedule (once per week for example) you will get into the habit of writing regularly. When you’ve finished blogging the pieces of your book, you’ll have a sort of rough draft. It will still need editing and you’ll probably want to add, delete, or change parts, but you will be almost finished with your book, and it will have been almost painless.